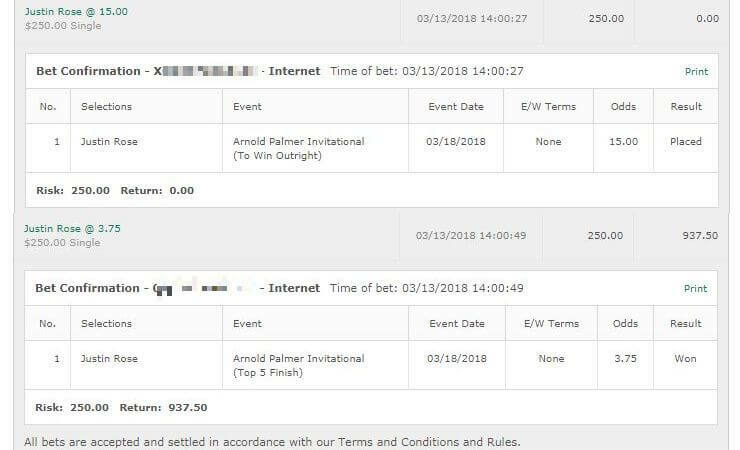 Usually I do individual tips for all the golf tournaments each week but for this week and next week I’m going to throw them all into one post with minimal write-ups. The reason for that is I am heading off to Vegas tomorrow to watch the Super Bowl. I’m absolutely swamped getting ready for the trip here and really behind – so while I will put in the same work in coming up with the golf betting tips I’d rather save a couple of hours of writing. I also return on Monday night or possibly Tuesday morning depending on flights etc so next week will be more of the same. I’ll do my studying on the plane home and be ready. Unfortunately I misread the LPGA schedule and there’ll be no betting tips for that. When it comes to historical finishes due to the changes at this course we can only really factor in last years. It’s possible he has peaked, but we’ll take Snedeker Top 10 Finish for half a unit. Snedeker had such a sick, sick round last week and his form looks amazing. He also finished 10th here last year. 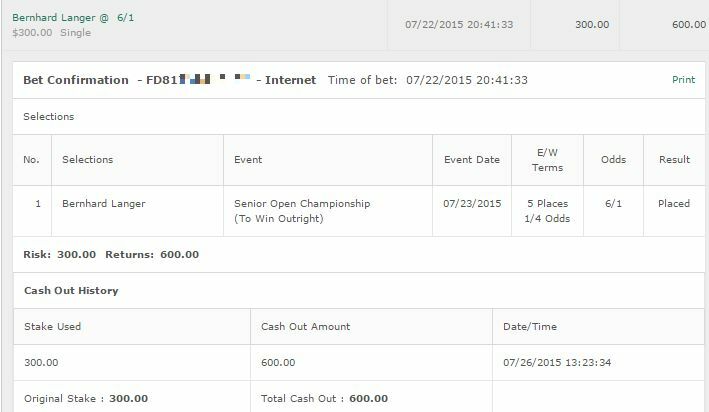 Like we said a lot of golfers peak and after they win 1 they regress for a bit which is why we’re only doing half a unit on him. We’ll also take a full unit on Bubba Watson Top 10 Finish. Bubba has switched things around and is being more selective in where he plays. But Watson looked very solid in the Tournament of Champions. Not sure if he has what it takes to win this one despite a 2nd place finish last year so we’re going to play this one fairly safe. 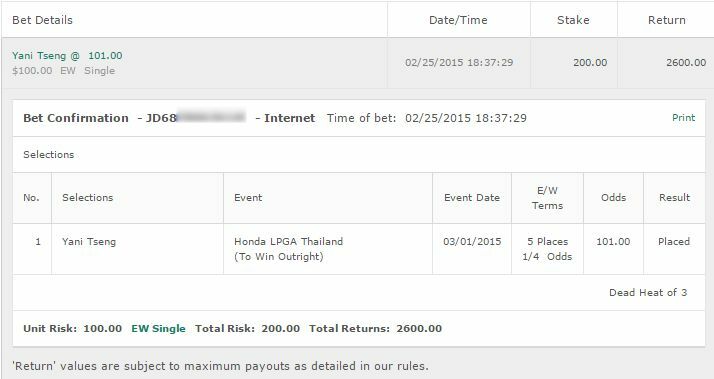 Finally we’ll go for a rather risky Hideki Matsuyama 9/2 Top 5 Finish. We always love Matsuyama and he came 2nd here last year. We tipped him to win last year at 25/1 as an E/W bet and obviously cashed on that. We don’t feel as strongly this year hence just a Top 5 Finish. We’ll be taking Martin Kaymer Top 5 Finish. Kaymer has a solid history at this course and even though he obviously isn’t playing the best golf in the little we’ve seen him so far – we think Kaymer can get a good finish here. Rory is playing and that makes it a bit trickier but we have faith in Kaymer to do the business. We’ll also take a half unit bet on Stephen Gallacher Top 10 Finish at 11/2 odds. his form here is incredible and he is worth a shot. Our first tip of the year on the Champions Tour and it’s Michael Allen Top 5 Finish. Only a quarter unit bet of 7/2 odds. Allen didn’t look good a the Mitsubishi but he started poor and got going near the end. He’s won this tournament previously and has a good history on this course.